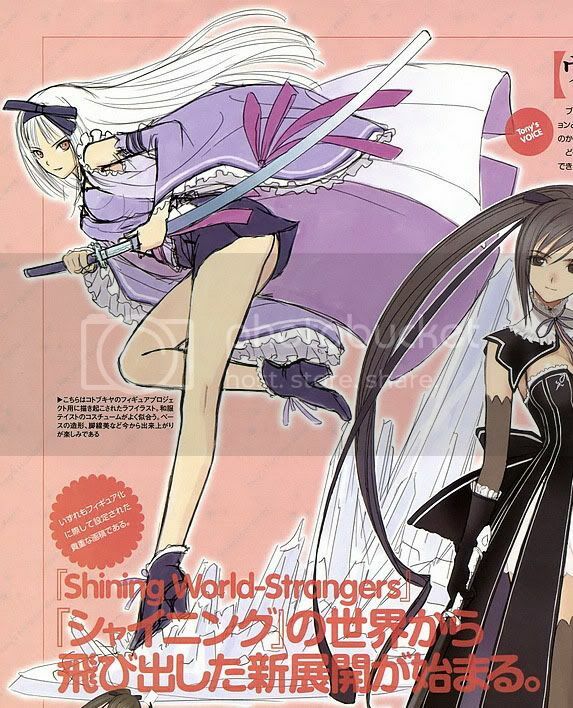 Here is a sneak peek concept art of Urayuki Hime PVC figure from Shining World by Kotobukiya. Same with Maxima, it's likely this figure will be in 1/8 scale also. The concept art is nice and it even includes a base design drawn on it, which makes it easier for us to imagine what this figure will look like after it is finished. Looking forward for it!